College Aid Professionals has assisted in making college an affordable experience for over 20,000 families. 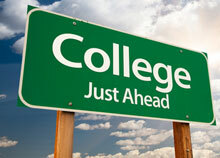 Our main objective is to provide a smooth financial transition into college. We provide professional services to help you and your family achieve this goal. We can make your college years affordable. With years of combined knowledge, we can make the impossible possible, the vague clearer and the illogical logical. Contact Us today for a free consultation. Let us show you how to make your child's college education affordable! my son,Michael. He came up 70 pts in both reading and math and 80 pts in writing!